The My Little Pony Movie Trailer is Here! Discover a different breed of hero in the exclusive My Little Pony poster! Lionsgate has released the first trailer for My Little Pony: The Movie featuring all your favorite residents of Ponyville on the big screen. Check out the My Little Pony movie trailer below! The film will feature the voices of Emily Blunt, Kristin Chenoweth, Liev Schreiber, Michael Peña, Sia, Taye Diggs, Uzo Aduba, and Zoe Saldana, with an original song performed by Sia. 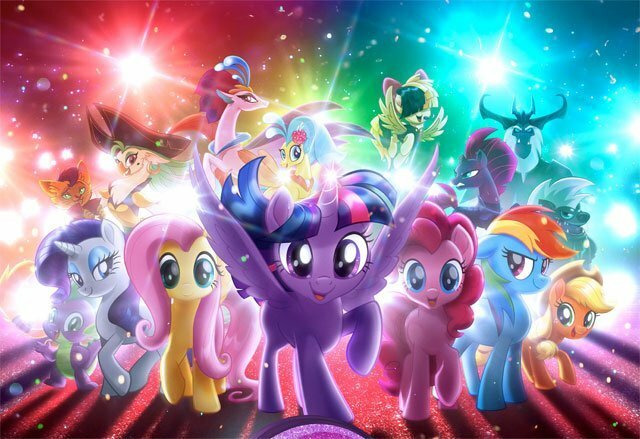 The voice actors behind the “Mane 6” from Discovery Family’s massively popular My Little Pony: Friendship is Magic series — Andrea Libman, Tara Strong, Ashleigh Ball, Tabitha St. Germain and Cathy Weseluck — will also star in the upcoming film. The first My Little Pony toys were released by Hasbro back in 1981 and have gone through a number of iterations since then. There was a TV series called My Little Pony in 1986 and one called My Little Pony Tales in 1992. The franchise got a huge revival when the current series My Little Pony – Friendship is Magic premiered in 2010, spawning numerous films and even conventions. The seventh season of My Little Pony – Friendship is Magic premiered on The Hub in April. The show has won a number of awards, especially for the voice actors. My Little Pony: The Movie will hit theaters on October 6, 2017. What do you think of the My Little Pony movie trailer? Let us know your thoughts in the comments or tweet us @ComingSoonnet.